This fourth generation inkjet continues Addmaster's tradition of quality and innovation. Our new cartridge sets the standard for print quality and makes the IJ7000 the top performer in in its class. The IJ7000 Series includes the Addmaster IJ7100 and the Addmaster IJ7200. 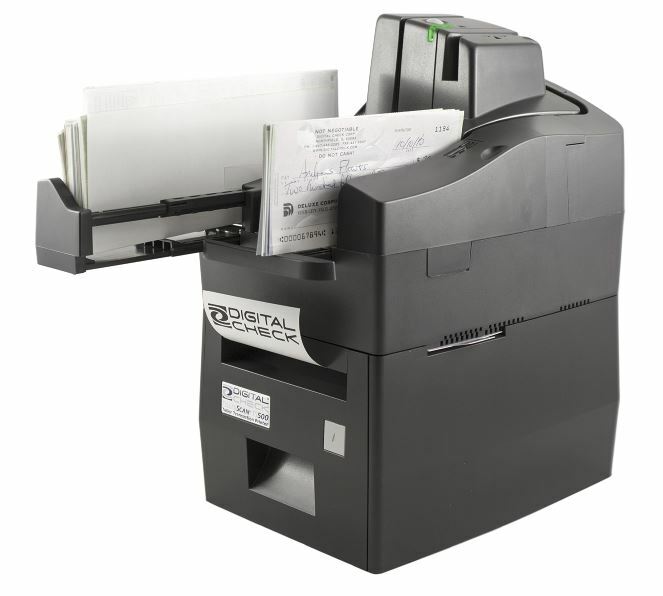 With remarkable efficiency, the IJ6080 prints high quality receipts with a compact footprint. It's modern, ergonomic design optimizes form handling. There are three models to choose from: Receipt, Validation or Receipt/Validation. 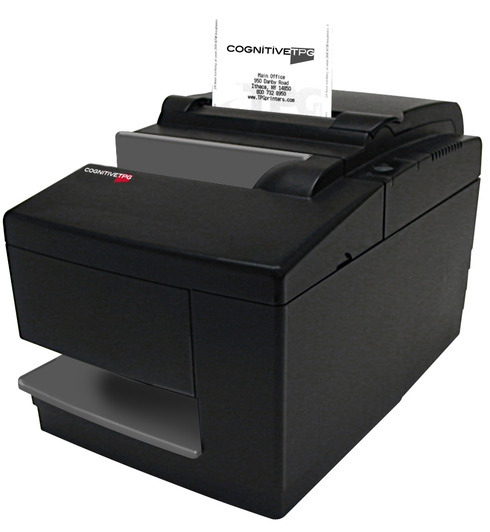 CognitiveTPG offers the banking market its hybrid printer model B780. The B780 features two-color/monochrome printing, graphic and image capability and a small footprint that fits almost anywhere. The B780 offers easy media loading and validation insertion, a paper low indicator, caution sensors, electronic journal and multiple resident emulations for ease of use and superior performance. With receipt printing, ticket validation (cash-in and cash-out) and check and form endorsement, the B780 is a true multifunctional printer. The optional MICR also reads information from checks, general ledger tickets, etc., with a 99% accuracy rate. Craden's DP9 Document Printer is the integrated printer solution that fits both teller counters and platform desks. With the smallest footprint of any document printer, it increases work space and productivity. Teller and platform personnel can reduce transaction time by printing all documents without ever leaving their customer. 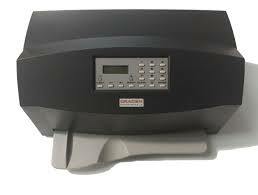 The Diebold Nixdorf HighPrint 4915exe US passbook printer is very fast, quiet and easy to use. Documents are fed effortlessly from the front and automatically adjusted to ensure precise character positioning. Passbooks consistently print within their allotted space regardless of passbook style or line number. Receipts or checks can be designed for portrait or landscape positioning, single or multi-part. Forms can be accommodated to make this printer a high-quality, reliable printing solution for all teller documents in any branch environment. 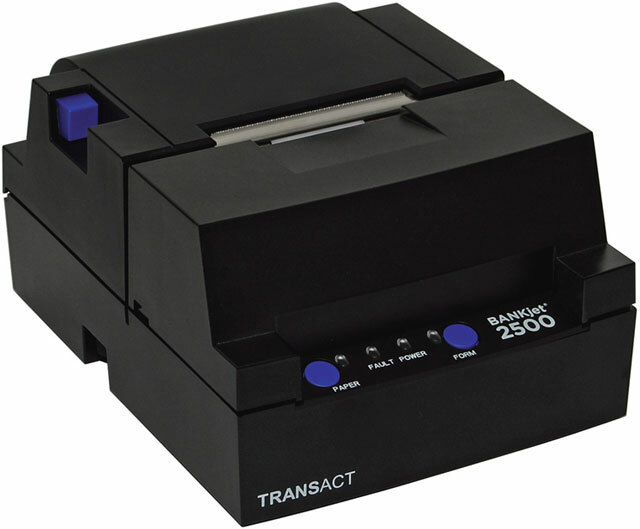 The unique TS240 TTP (Teller Transaction Printer) is a transaction printer designed to integrate with a teller scanner to minimize countertop space and deliver customer image receipts. 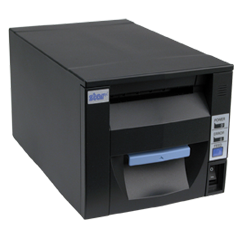 The TS240 TTP is a standard USB, direct thermal printer that is designed to fit within a customized housing beneath the TS240 scanner at the teller window. This design reduces valuable counter space usage up to 50% of that required by a separate scanner and printer. 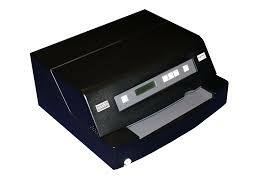 *Note: This model is a companion printer to the Digital Check TellerScan TS240 Check Scanner. The TS500 TTP is designed to have a TellerScan TS500 scanner sit right on top of it, freeing up extra counter space. The TS500 TTP is connected using USB and power crossover cables direct from the TS500 requiring only a single power and USB cable from the device. 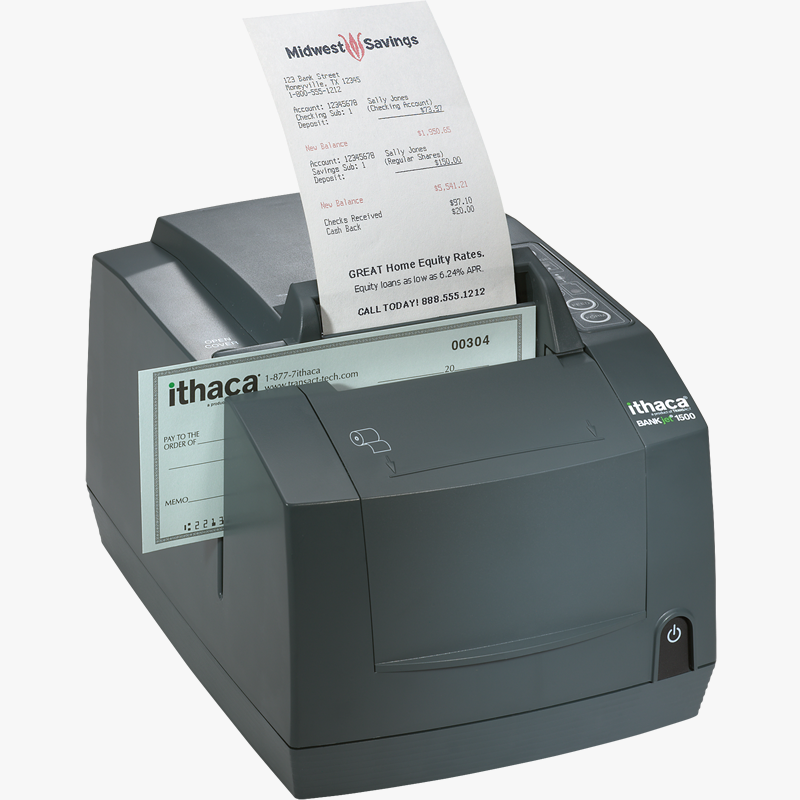 The TS500 TTP receipts can be customized using standard text, images, and a full range of design elements. Utilize the complimentary ReceiptWare software to add your logo, watermarks, as well as personalized marketing messages to each receipt. *Note: This model is a companion printer to the Digital Check TellerScan TS500 Check Scanner. The ReceiptNOW printer prints receipts right at your check scanner. It is engineered to fit under Digital Check SmartSource scanners - combining scanner and receipt printer units into one footprint, saving valuable counter space! SmartSource ReceiptNOW Elite - Engineered to fit beneath the SmartSource Elite series scanners. SmartSource ReceiptNOW - Designed to fit under the SmartSource Professional, Value, Expert, Adaptive and other scanners. *Note: This model is a companion printer to the Digital Check scanners listed above. The new Epson TM-H6000V offers a dynamic multi-interface connectivity. The latest to the TM-H6000 family of printers is designed for the cloud - allowing the device to be shared by mobile devices and legacy POS terminals. It allows for USB, ethernet and bluetooth connectivity as well printing capability with Beacon and NFC technologies, which can be used to leverage online ordering services in the retail world. 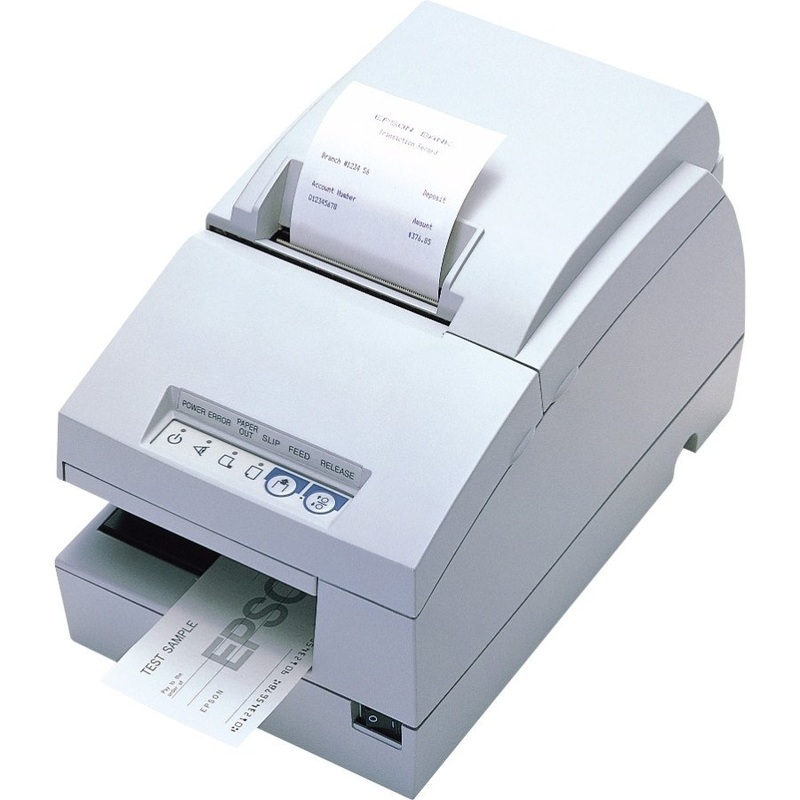 This thermal printer has receipt printing speed of up to 350mm/second and offers advanced paper-saving features. The TM-H6000IV printer offers all the functionality you need at your teller stations, from high-speed printing of receipts, cashier checks and graphics to fast check processing, easy drop-in validation and superior slip handling. With thermal receipt printing up to 300mm/second, the TM-H6000IV is 50% faster than the TM-H6000III, and its slip print speed is 120% faster. The TM-H6000IV features easy, fast drop-in validation for a variety of forms including checks, deposit slips and batch tickets. The TM-H6000IV has the lowest power consumption in its class and offers print options that reduce paper usage for receipts up to 28%. The Epson TM-T88V is the latest addition to Epson's industry-leading TM-T88 thermal printer series. Ideal for Teller stations, the TM-T88V offers more speed, features and reliability than ever before, all in a small footprint. The TM-T88V prints both receipts and graphics at the same high speed of up to 300mm per second - 50% faster than the TM-T88IV. And it's the first printer in the industry to offer 16 levels of grayscale to ensure clear, crisp graphics to highlight your marketing messages. 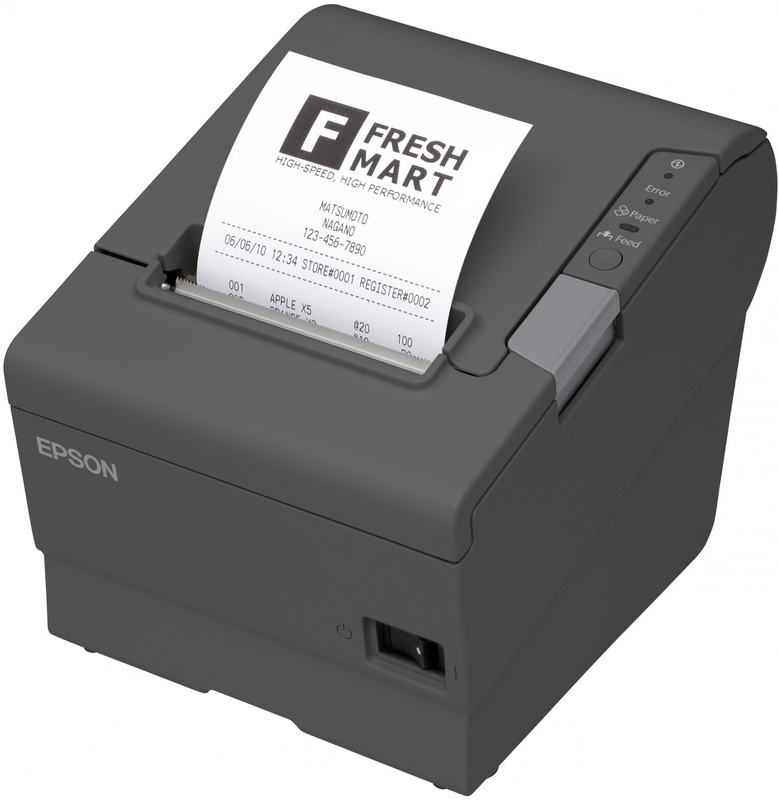 Epson's TM-U325 is a cost-effective receipt/validation printer designed to meet the need for high reliability and a small footprint at teller stations. It prints crisp, clean receipts and negotiable items, such as cashier's checks and money orders, at 6.4 lines-per-second and offers numerous downloadable fonts to meet your needs. It also handles up to nine lines of validation printing quickly and easily. The TM-U375 offers receipt validation and slip printing all in one space-saving, easy-to-use multifunction printer. Ideal for teller stations, the TM-U375 is supported by all major teller packages, so no software modifications are required, which means it's ready to go from day one. The TM-U375 prints crisp, clean receipts and negotiable items, such as cashier's checks and money orders, at up to 5.4 lines per second. 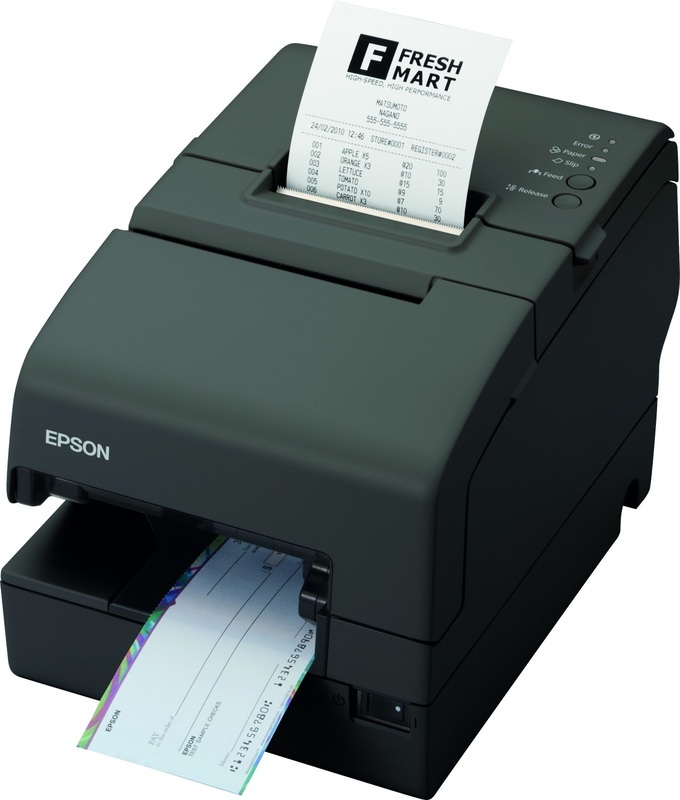 It handles up to 16 lines of validation printing and up to 58 lines of slip printing quickly. It also can print an original plus one copy of a receipt and an original plus two copies of a slip. This easy-to-use teller printer offers superior printing quality, validation and slip printing that meets even the most demanding requirements. The TM-U675 comes packed with features to streamline your operations. For the handling of documents, the TM-U675 supports 90-degree print rotation and includes a mechanical forms stopper for extra document stability. And its wider throat design enables quick and smooth drop-in validation. 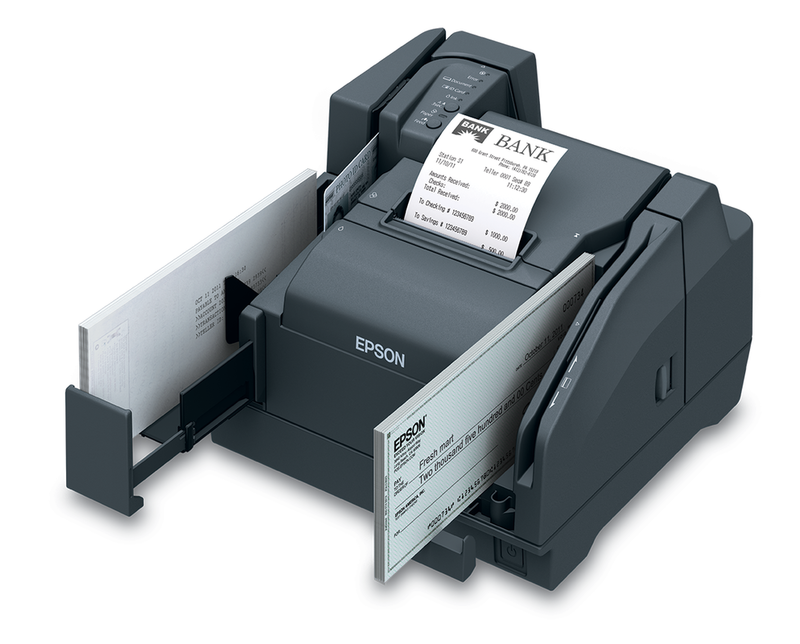 Epson's fully integrated, multifunction TM-S9000 teller device offers multiple advanced features all in one small footprint. It features the industry's fastest check scanning speed, the highest MICR accuracy in its class, an award-winning TM-T88V receipt printer, cashier check and endorsement printing, 2-sided ID scanner and more. 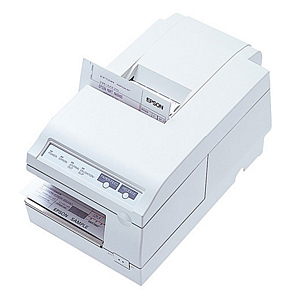 The Epson TM-T70II is a great option for a thermal receipt printer. It has a small, space-saving footprint and can be combined with the Epson TM-S2000 check scanner for increased efficiency and functions. The TM-T70II features a printing speed up to 250mm/sec and the paper-saving options reduce your costs. The printer also has a 180 dpi resolution ensuring crisp, clear receipts and eye catching logos. *Note: This model is a companion printer to the Epson TM-S2000 check scanner. 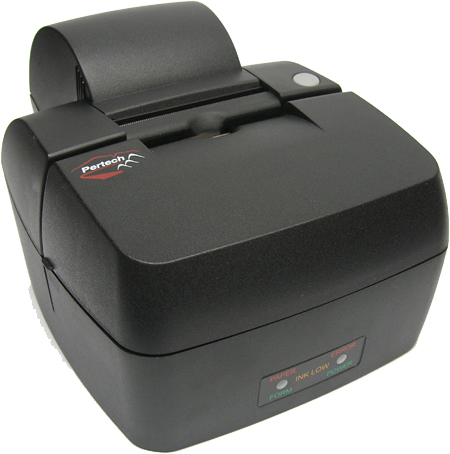 The Panini Vision neXt Stackable Receipt Printer offers space-saving capabilities and ease-of-use. The printer uses a thermal line print method and includes a speed of 100mm/sec. If a stackable printer option isn't for you, Panini also offers a stand-alone printer as well. ​*Note: This model is a companion printer to the Panini Vision neXt check scanner. The 5300 Series printers with versatile INKPACT Technology are designed with today's need for speed, versatility, compatibility and reliability in mind. Ideal for any printing application that requires customer receipts or printing on an inserted form, these printers are a cost effective solution to any banking application need. Compact with dimensions kept to a minimum, Pertech's 5300 Series' functional design is highlighted with stylish, ergonomic features for the user's convenience. 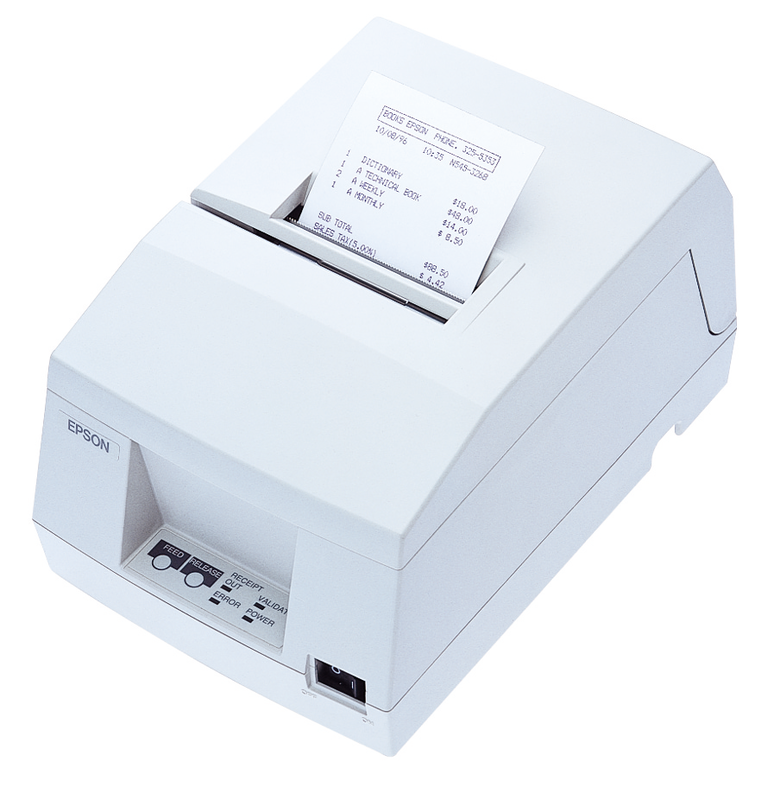 Star's TSP-100III Thermal Printer allows for a WLAN, LAN or Bluetooth interface and features receipt printing speeds of 250mm/sec. 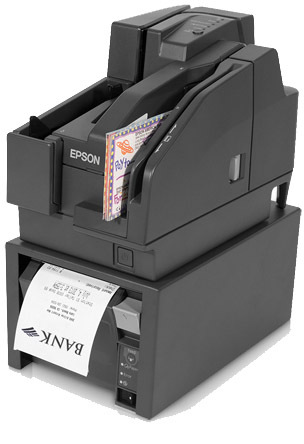 This receipt printer offers a special de-curl function and a compact size allowing for more counter space. The "drop-in and print" paper loading is perfect for even the busiest of retail and hospitality environments. 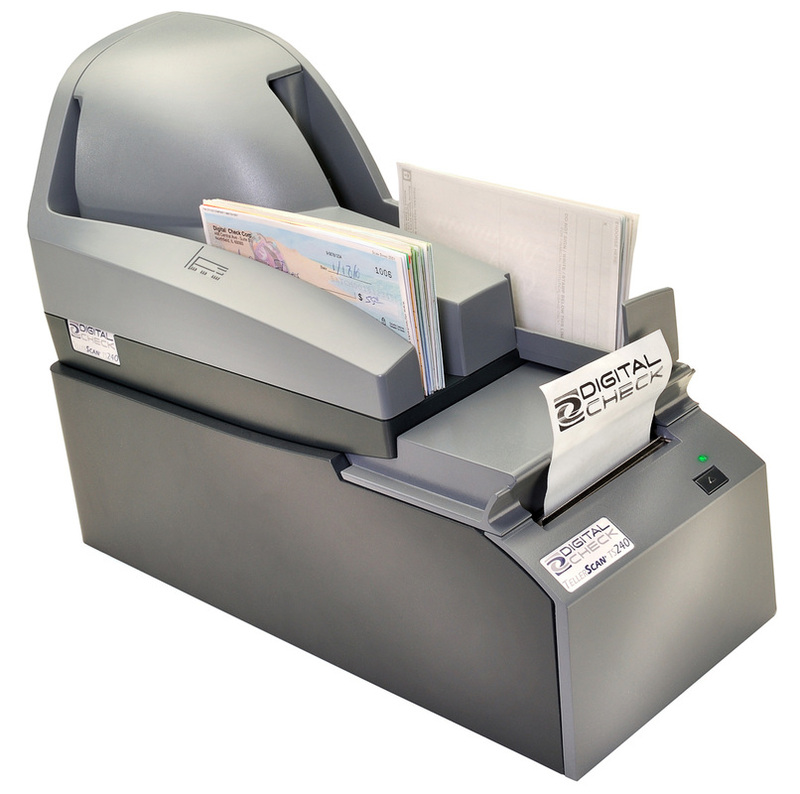 The Star FVP-10 Thermal Printer was designed to save you counter space and speed up the teller line. The FVP-10 features a receipt printing speed of 250mm/sec and front paper loading for easy paper roll changing. Your scanner can fit easily on the top of the FVP-10 to allow for even more counter space. The BANKjet 2500 is a high-quality inkjet printer that's the ideal, easy-to-use solution for today's financial institutions. Its drop-in paper loading design makes paper loading quick and easy. Featuring standard RS-232 and USB interfaces, auto calibrating form sensors, a tear bar, cut-through validation slot and quiet functionality, the BANKjet 2500 is a sound financial investment. The BANKjet 1500 is packed with convenient, real-world features necessary for any busy financial institution. Based on proven inkjet technology in use in the retail world, BANKjet 1500 prints in your choice of red, black, green or blue - in any combination of two colors - thanks to a high capacity, 7-million character Hewlett-Packard cartridge. We currently do not list all of the products we sell on our website. If you are looking for a particular product, please contact us to find out if we carry it! If you require printer repair or printer support, please fill out our support request.